Getting involved with local communities for environmental sustainability is an important initiative that we help carry out through our Environmental Grant Program. The program provides funding for community-based projects that help restore and protect watersheds, protect surface water and ground water supplies in our local communities, and provide educational outreach to increase awareness of important water related issues.. Innovative projects have the opportunity to receive up to $10,000 in grants to foster collaboration with other community and/or municipal organizations. In addition, the program is looking for projects that can be sustained so that they can make a long-term impact. Just take a look at some of last year’s recipients. 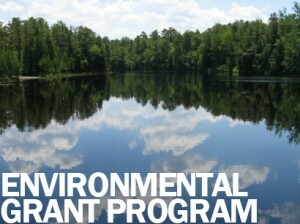 The fast-approaching deadline to apply for this year’s Environmental Grant Program is March 11, 2013, and it’s always exciting to see deserving applications and project descriptions come across our desks. Source water protection projects are activities that result in the protection or improvement of the community’s drinking water supplies. Watershed protection projects should focus on activities that improve, restore, or protect one or more watersheds. To be considered for the Environmental Grant funding, a project must be located within an American Water service area, completed between May and November of the grant-funding year, and be a new or innovative community program or significantly expand on an existing program. To learn more about the qualifications to receive Environmental Grant funding, please see our 2013 Program Brochure and Grant Application Form. Every individual and community has the ability to help preserve our environment and our source water and watersheds. Don’t miss out on this opportunity to give back to your community through teamwork and efforts that help to better our environment!